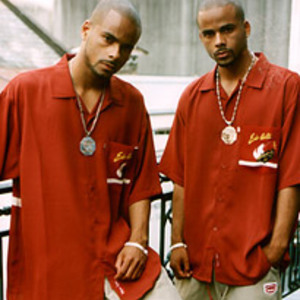 Kane & Abel is the name of a rap duo formed by twin Puerto Rican brothers Daniel and David Garcia. Born in the Bronx, the twins would eventually move to New Orleans where they would major in Mass Communications at Xavier University. Going under the group name Double Vision, the brothers would be signed by Master P to No Limit Records. After releasing two albums with No Limit, the twins left the label to start their own company, Most Wanted Records. As their success peaked, the Garica brothers were sentenced to three years in prison for failing to cooperate in an ongoing cocaine case against New Orleans drug kingpin Richard Pe?a. After their release from prison, Kane and Abel continued to record music with moderate success. The brothers expanded the score of their careers by creating self produced film urban flims and writing fiction novels. Their most recent album titled "Back On Money" was released in 2010.